Diabetes is a chronic (long-lasting) disease that affects how your body turns food into energy. Most of the food you eat is broken down into sugar (also called glucose) and released into your bloodstream. Your pancreas makes a hormone called insulin, which acts like a key to let the blood sugar into your body’s cells for use as energy. If you have diabetes, your body either doesn’t make enough insulin or can’t use the insulin it makes as well as it should. When there isn’t enough insulin or cells stop responding to insulin, too much blood sugar stays in your bloodstream, which over time can cause serious health problems such as heart disease, vision loss and kidney disease. There isn’t a cure yet for diabetes, but healthy lifestyle habits, taking medicine as needed, getting diabetes self-management education and keeping appointments with your health care team can greatly reduce its impact on your life. There are three main types of diabetes: Type 1, Type 2 and gestational diabetes (diabetes while pregnant). Type 1 diabetes is caused by an autoimmune reaction (the body attacks itself by mistake) that stops your body from making insulin. If you have Type 1 diabetes, you’ll need to take insulin every day to survive. Currently, no one knows how to prevent type 1 diabetes. With Type 2 diabetes, your body doesn’t use insulin well and is unable to keep blood sugar at normal levels. Most people with diabetes have Type 2 diabetes. It develops over many years and is usually diagnosed in adults. You may not notice any symptoms, so it’s important to get your blood sugar tested if you’re at risk. Type 2 diabetes can be prevented or delayed with healthy lifestyle changes, such as losing weight if you’re overweight, healthy eating and getting regular physical activity. Gestational diabetes develops in pregnant women who have never had diabetes. If you have gestational diabetes, your baby could be at higher risk for health complications. Gestational diabetes usually goes away after your baby is born but increases your risk for Type 2 diabetes later in life. Your baby is more likely to become obese as a child or teen, and more likely to develop Type 2 diabetes later in life, too. Prediabetes is a serious health condition where blood sugar levels are higher than normal but not high enough yet to be diagnosed as diabetes. Prediabetes increases your risk for Type 2 diabetes, heart disease and stroke. If you have any of the following diabetes symptoms, see your doctor about getting your blood sugar tested: frequent urination (peeing), often at night; serious hunger or thirst; weight loss without trying; blurry vision; numb or tingling hands or feet; feeling very tired; very dry skin; sores that heal slowly or more infections than usual. People who have Type 1 diabetes may also have nausea, vomiting or stomach pains. Type 1 diabetes symptoms can develop in just a few weeks or months and can be severe. Type 1 diabetes usually starts when you’re a child, teen or young adult but can happen at any age. Type 2 diabetes symptoms often develop over several years and can go on for a long time without being noticed (sometimes there aren’t any noticeable symptoms at all). Type 2 diabetes usually starts when you’re an adult, though more and more children, teens and young adults are developing it. Because symptoms are hard to spot, it’s important to know the risk factors for Type 2 diabetes and visit your doctor if you have any of them. Gestational diabetes (diabetes during pregnancy) usually shows up in the middle of the pregnancy and typically doesn’t have any symptoms. If you’re pregnant, you should be tested for gestational diabetes between 24 and 28 weeks of your pregnancy, so you can make changes if needed to protect your health and your baby’s health. You’ll need to get your blood sugar tested to find out for sure if you have prediabetes or Type 1, Type 2 or gestational diabetes. Testing is simple, and results are usually available quickly. If your test results show you have prediabetes, ask your doctor or nurse if there is a lifestyle change program offered through the Centers for Disease Control and Prevention-led National Diabetes Prevention Program in your community. You can also search for an online or in-person program at www.cdc.gov/diabetes/prevention. Having prediabetes puts you at greater risk for developing Type 2 diabetes, but participating in the program can lower your risk by as much as 58 percent (71 percent if you’re over age 60). If your test results show you have Type 1, Type 2 or gestational diabetes, talk with your doctor or nurse about a detailed treatment plan — including diabetes self-management education — and specific steps you need to take to be your healthiest. Information for this article came from the Centers for Disease Control and Prevention. 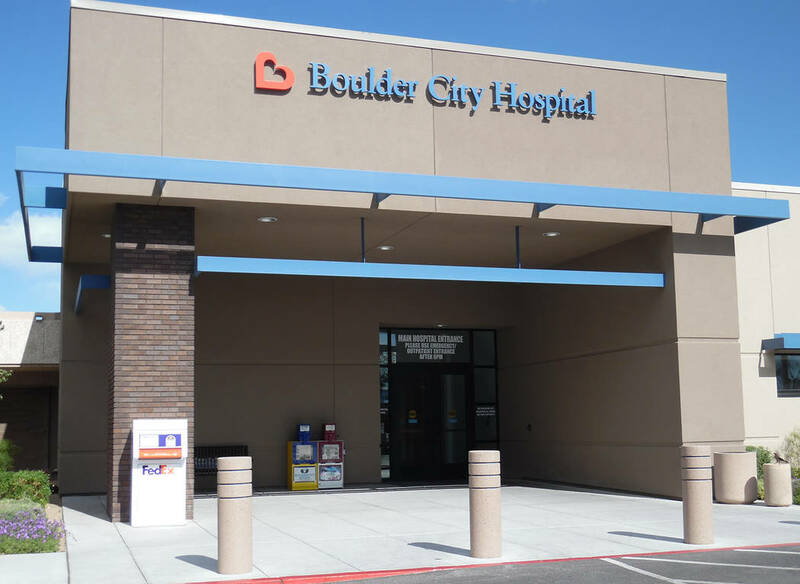 To Your Health is provided by the staff of Boulder City Hospital. For more information, call 702-293-4111, ext. 576, or visit bouldercityhospital.org.